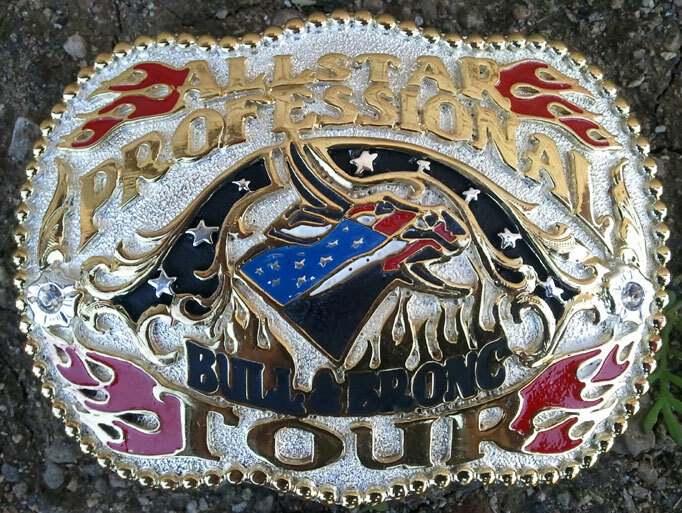 An incredible purchase on an incredibly gorgeous rodeo belt buckle! Exclusive to Gold Mountain Trading. Features an "American flagged" bull head. This rodeo belt buckle feature silver and gold metal finishes, lots of color and two cubic zirconia (CZ) crystals in the silver flowers. 2¼" X 3¼"" Exclusive to Gold Mountain Trading, LLC.